Pedalling Squares: Tour De France 2012: Evans vs Wiggo, clearly. Rebecca Romero announced this morning that she wouldn't be going to the Olympics to defend her gold medal. Take a look at that picture above and tell me if you reckon Bradley Wiggins might be writing a similar letter to the selectors as we speak. 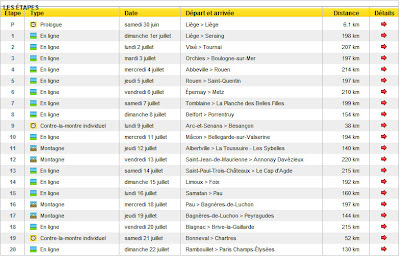 Le Tour briefly and mistakenly published an admittedly un-finalised copy of next year's Tour route on their site this morning. It was taken down almost immediately, but not before screengrabs began circling the internet. 96K of individual time trialling and only four mountain stages. If you listen very carefully you can hear the Schleck brothers sobbing and contemplating self-harm. 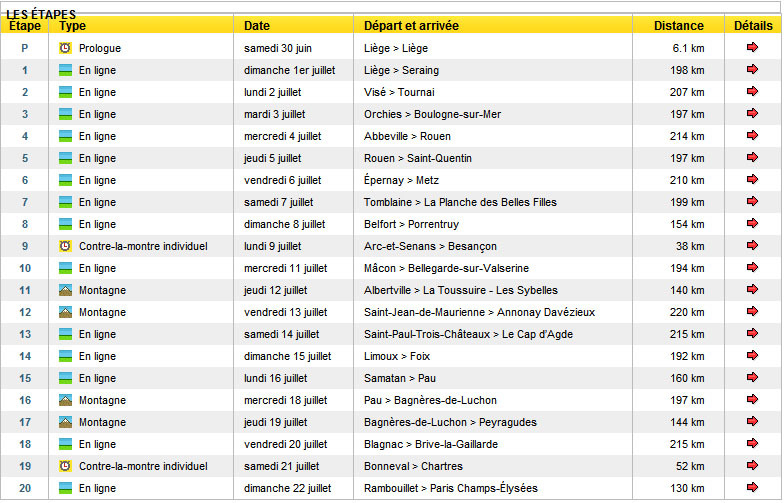 Of course, we've no idea as yet what mountains are contained within those stages. Peyragudes is generally regarded as a bit of a soft climb, but the stage to Bagneres de Luchon could easily take in Superbagneres or the Peyresourde, while the sheer length of the two Alpine stages would allow them to cover several of the widely spaced climbs in the region. Nevertheless, the absence of a summit finish on any of cycling's most famous climbs will have the climbers downplaying their chances already. To be fair, Alberto Contador can do damage on any climb and can Time Trial strongly as well. If he's allowed to race, the lack of serious climbing might not hamper him as much as it will the Schlecks, Gesink, Basso et al. Really though, this race has got Cadel Evans and Bradley Wiggins written all over it, guys who can gain serious time against the clock and defend powerfully in the mountains. I'm also tempted to give Janez Brajkovic a bit of a nod here. I know, I know, I'm putting him in some rarified company, but he's young and competent against the clock, and his 2010 Dauphine showed that he's capable of defending on the slopes. Anything that has 96K of Time Trialling makes you think of Fabian Cancellara and Tony Martin, obviously, but while they'll both be rubbing their hands at the prospect of stage wins on those TTs, neither man has ever look like a three week contender. Martin has shown flashes of brilliance of Mt Ventoux, and Spartacus can win a week long stage race if he sacrifices a little power in order to shave a few pounds, but even so, a Grand Tour is too big an ask. Lastly, of course, you have to wonder, what of Cav? Right now he must be weighing up the number of flat stages in this Tour versus the Olympic road race. The London/Surrey test event route couldn't knock him off when it only went up Box Hill twice, but nine times will be much tougher. I wonder if he'll be looking at this route and wondering where he wants to spend his legs?